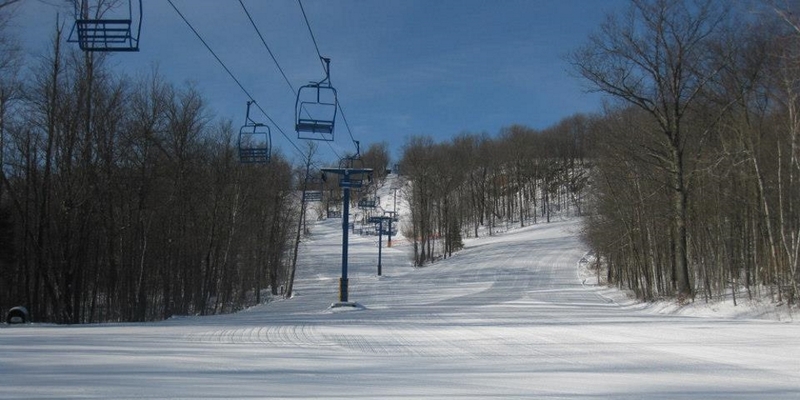 Christie Mountain is a small family ski resort in Bruce, Wisconsin. It is located in the Blue Hills of Northern Wisconsin and has a 350-foot vertical drop and a variety of skiable terrain. Christie Mountain boasts 21 ski trails, with their longest run being 4,000 feet. Christie Mountain also has Night Skiing on all of its trails, 6 lifts, a terrain park and tubing options; one double chairlift, one t-bar and three rope tows service the mountain. One double chairlift; one t-bar and three rope tows. 350 foot vertical drop / Longest run 4,000 feet. Ski rentals include 500 sets of quality equipment for all ages: Ski boot sizes from childs 8 to adult 15. Snowblades also available. 100 rental snowboards including the new Burton beginner “LTR” & “Cruzer” and Rossignol “Accelerator”. Also Burton womens’ specific boots available. AASI Snowboard School / PSIA Ski School. Christie Mountain shared a post.